When dealing with search engine optimisation you sometimes come across the term “core”. This refers to the core of the Google algorithm. Only Phantom 4 Update penalises domains with too many 404 errors Amongst the losers of the update were remarkably many domains with too many recently it came out that Panda is now part of this core. What is meant by this? Read yourself. According to Andrey Lipattsev, responsible for the search engine’s strategy, all those parts belong to the core of the Google algorithm that have proven themselves to be stable and consistent. Just following the motto “never touch a running system” core elements are rarely touched upon and renewed. Google hence trusts them to work. This is for example the case with PageRank. The PageRank is a measurement with which Google captures the value of this linked site over the number and quality of links (backlinks) to this site. In the first years backlinks were Google’s most important instrument to recognise any high- quality sites on the net at all. Since backlinks can be artificially generated, though, PageRank is not the approved significance in the ranking algorithm it used to be, but one that has been repressed by the newcomers in the algorithm family. Statements are first kind of compared with further test factors since then, before they account for a search result. To suppress the abuse of backlinks Google did the first Penguin update in April 2012 among other things. Sites with conspicuously unnatural backlink profiles are penalised by Google since then and disappeared from the search results pages. In irregular intervals Google updates Penguin ever since. The most recent update until now, Penguin 3.0, was released in October 2014 (exactly for this reason the next pending penguin is long overdue). The Panda is part of the Core Google Algorithm. What does that mean? Also the Panda update from 2011 was first just an update that was put on as a filter so to speak for the search results of the Google algorithm. This filter captures sites that were of less quality in Google’s opinion and only offered little contents. Google was specifically taking action against “content farms” back then. Their purpose was solely to lure users with just keyword- optimised texts (without real added value) to then redirect them over affiliate or advertising links to shop and service sites. For website owners and SEOs that banked with OnPage optimisation on high- quality contents it had no effect that Panda is a part of the core algorithm now. Andrey Lipattsev as well as Gary Illyes (known from Google Hangouts for SEO questions) emphasised this with a metaphor from the history of automobiles: In the beginning years of cars a motor could only be started by the driver by getting out of the car and to ignite the motor with the aid of a crank. Nowadays the ignition for the motor is integrated. The driver doesn’t have to worry how to get their car started. They can rely on it to run as soon as they turn the key or push the start button. 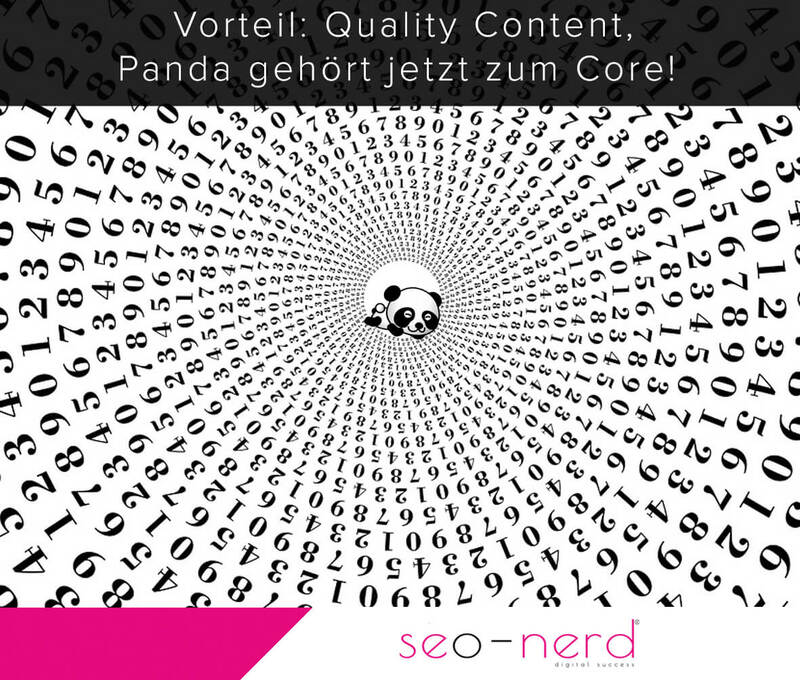 That Panda belongs to the core of the algorithm only means that the filter permanently works now and that sites have to be designed in regards of their content to offer an added value for users with unique content in order to be able to rank. 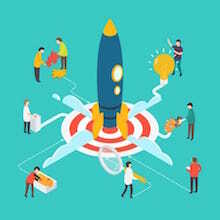 Searchmetrics concludes in its analysis of winners and losers of the most recent update that especially sites have won that preferably give broad information on a relevant topic. This way an article on gq.com about the NFL star Tom Brady could gain most visibility in the USA. The article was astonishing 3000 words long and had numerous pictures, videos and additional links. Furthermore it is written in a way that he includes all important sub-themes to Tom Brady (NFL, Patriots, Football, etc.) to a sufficient extent. That the article could be such a winner Searchmetrics not only attributes to the currency of the article in the Superbowl season. 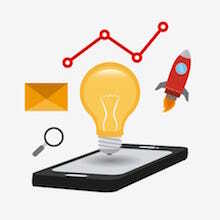 Since Google doesn’t only monitor the search volume of a keyword, but also observes over user signals which sites are more popular than others at the moment and subsequently rank those also higher. For this reason brands lost visibility in the beginning of the year, while publishers with current contents could win, i.e. the demand of news was higher in the end than the demand for more basic information like they can be found on brand sites. 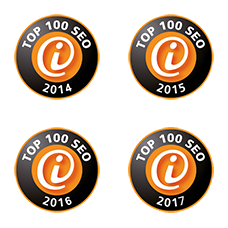 Although Panda is a set part of the Google algorithm and consequently sites with scare content can’t be counted as winners, there are still some sites that achieved exactly that. Brainpop.com, for instance, belongs to these. There users find learning games dealing with comma placement and spelling. In terms of content the site is extremely sparse. The site is however strong with user signals. It only ranks with a few keywords, but it impresses with a low bounce-rate of just 20% and particularly the visiting time of users is more than 8 minutes. 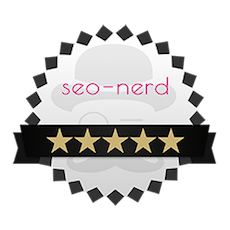 The site just fulfils users’ expectations in Google’s point of view, hence being allowed to rank high. If you can’t be bothered to offer long texts just invent a game. It should also work then, though, and not only attract users, but actually animate to play. The opinion often represented by the seo-nerd, that SEO texts should always have a minimum volume of words (350 or more) get scratched a little that way. For the ranking the intention becomes more and more important (this can also be drawn from the Google Guidelines). If one looks for a short answer they won’t want to deal with a long text. Unless, of course, the text is structured in a way,that presents the answer to the question fast and clearly (for example an information box or a subtitle). Long, well-structured and designed texts (with holistic content) still have an advantage as they can rank for significantly more keywords and keyword phrases. 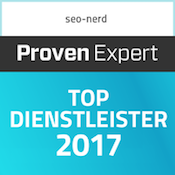 For this reason the seo-nerd sticks to his principal approach, that SEO suitable written texts belong to a good OnPage optimisation. In regards of the text length everyone should orientate themselves on what the competition offers – and that is often substantially more than only 350 words. 1. The Panda is part of the Core Google Algorithm. What does that mean?